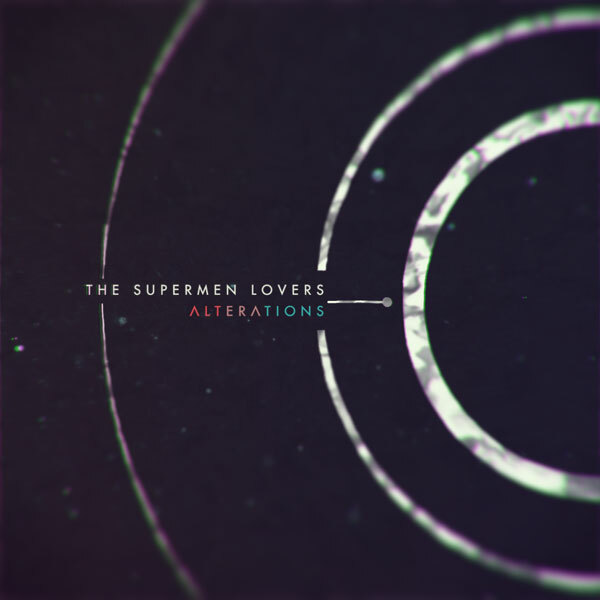 Alterations is a remix album which talks about friendship, love & passion. About people I met, I had fun with, I admired & I loved. I tried to give my touch, my feelings on their creation, their music. I did it with honesty & respect. I think “The Ghetto” is one of the first funk track I heard in my life with “Keep on Stepping” from the Fat Back Band. I was about 13 or 14 years old and I’ve always had in my mind that perfect Rhodes sound playing all over the tracks…one of the best funk/soul tracks I know. When Warner music asked me if I was ok to remix a Donny Hathaway tracks I immediately chose « the Ghetto ». As I got the stems I stayed hours just to listen to the rhodes part…so magic and so deep… I hope I brought something interesting in that remix because it’s so hard to remix such a legendary track. In 2012 I was planning to release the track “Say no more” and I thought about Jupiter to do a remix. I’ve always been a fan of their song “Sake” which has that 80’s funk vibes . As they were releasing the song “One O Six” in the same time, we agreed to do a remix exchange. I straight loved “One O six”. It sounded still like some 80’s funk with a little touch of italo disco. I decided to bring the track in funkiest direction I could. I put some flanged guitar and synth solo on a house beat. I had some really good fun doing that remix. My mate Andy ! You gotta love that guy ! Such a nice person…he got that belgian touch that makes you feel good and instantly cool. And he’s a very good producer. I met him in 2011. We were doing a gig together in south of France and we became friends. I knew his music first by his band Mustang, a project he shared with Attar!. Then as they split he changed his artist name to his real name : Andy. He sent me his first EP he did with Vicente (another belgian producer). I really liked the track and we did a remix exchange (second one ;) . He remixed “Say no more” too and I remixed “El Barrio”. I tried giving the track some hypnofunk vibe with a basic funk bass and lead guitars. I remember when I was 12 years old and this « S-Express » video clip was on MTV all the time. This song was one of the first garage/acid house hits ever and I was crazy about it! This was in the early 90’s. Then, 15 years later, I saw Mark Moore (S-Express) somewhere on the web. I straight asked him to be friend on facebook. Then we talked a litlle bit about music and other things and I began to send him some new stuff of mine (productions/remixes etc…). One day I got an email : Mark Moore asked me to remix his huge hit “Theme from S Express”…ouh yeah baby! That was some news! I went to my studio and started working on the stems. And I discovered it was hard to remix that track ! So I tried to do something different without losing the original vibe. The guys from « La Belle Records » are good friends of mine and in 2012 I was in their office (talking about life, nature, science etc…). They made me listen to the new Count Jackula (aka Moullinex) EP and the track “Breakfast” was really cool. So I decided to do a remix which could go in a more caribbean direction. So I played some kind of cuban guitar on it and it suited perfectly the vibe of the original track. I m really happy with this remix. Philippe Marchall, the boss of Cyclo Records, who signed my very first record in 1999 under the name School sent me the original “Robot” by Situation in 2013. The lyrics were so funny that I decided to give a disco trash vibe to the track. The original was more electro-ish, I wanted to do something really more nu disco on it. So I put that big bass line and used the all vocal track that is just so great! My friend Igor is the perfect russian guy, coming right out from a dark eastern independent movie. He had this label, Fugu San/ Electronic Pirates with Serge Souque, one of the first trance music pioneers with pseudos as Antidote / Total eclipse. I made this remix in 2005 and I think it is the very last production I’ve done with a complete MIDI set up. And you can hear it in the production of the remix. That remix is full of nice souvenirs of a great friendship. Sensible, different, deep, beautiful, innocent and honest…am I in love with that woman ? I met Natty in 2005 because I released a track called “Dark Love – Only you” on my first label Lafessé Records. I just met her once. Then in 2010 I saw she was releasing a pop rock EP in Belgium (yes, she’s from Antwerp-Belgium). I contacted her and told her: «We should work together…» We made 2 EPs: “Rage of Love” (2012) and “Light Warriors” (2014) together. She’s a full artist : songwriter/singer/actor… I did a remix of her track Gonna find you and released on my label in 2013. It was the first time I did a kind of slow mo disco remix. Fred Elalouf aka Dj Ouf aka Lunivers is the typical nice person you can meet in the parisian music business. He is a very eclectic person : doing a lot of different things but always in arts : Music/Painting/Video/Performances…I met him at a french Festival and I straight had a very good feeling with him. When he sent me stuff from his project Lunivers I was really surprised by the track, because it was really simple…and Fred seems to be a complex person. I tried to keep the melancolic wave of the original song but using a harder beat. I’m really proud of this one because it sounds a little bit different from what I’m producing. There are some people, the first time you meet them…you know they’re gonna be your friends. That is what happened with Jarco Weiss. He’s the main man of the pop electronic project Marie Madeleine and has some side projects as Jarco Weiss et Le Miracle. I met him at The Porto Vecchio Festival In Corsica in 2011. One day in 2013 he send me the demo of Cosmo Anatomique and I straight told him : «I want to remix that! ». I knew I could do something really more Nu Disco-ish with a Todd Terje Vibe on it. I actually did 2 remixes of the track : a « Classic remix » and a « Basic Remix ». But I prefer the Basic Remix… It is just about clubbing. In the music business you can find some great and nice people and Spiller is one of them. I released my 3rd album in 2011 (“Between the ages”) and its intro is a track called “Debut feat. Natty Fensie”. One day (in 2012) I got a mail from a friend telling me: « Spiller just did an edit of «Debut» and he’s playing it in his sets. Ow ! Great news ! I asked him to send me the edit and it was just an amazing edit. So we released it on the “We got that booty EP” at the end of 2012. Spiller sent me the track “Urastar” in 2013 and asked me for a remix. I decided to funk it up the more I could! More rhodes, more clavinet, more organ! To keep that funk alive ! Ok…we are in summer 2014 in Corsica and I’m playing for the opening of the new edition of the Porto Vecchio Festival in Bonifacio. It’s about 9pm and I’m waiting in my hotel room… I don t know what to do…so I take my computer and watch some bugs fights on youtube (this is a true story…). I think I was looking at a fight between a black widow and a praying mantis. And the music on this video was so strange… What is it.. I take my phone.. I Shazam it and what we got here…”Beats of Love” by Nacht und Nebel…Was ist los ? All that is «Alterations». I could not have done it if I hadn’t met all those incredible people. Thanks to them for letting me touch their music.